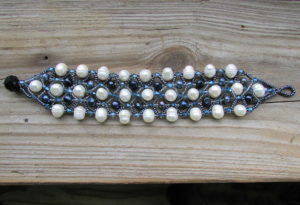 I made this beaded black and white pearl bracelet using black and white pearls, seed beads and a bit of crystal beads. I like the black and white, simply because it matches so much in my closet. 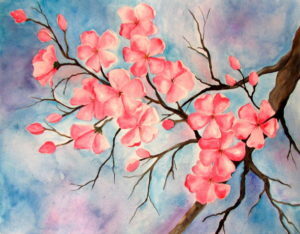 Here it is, and here is how I made it. 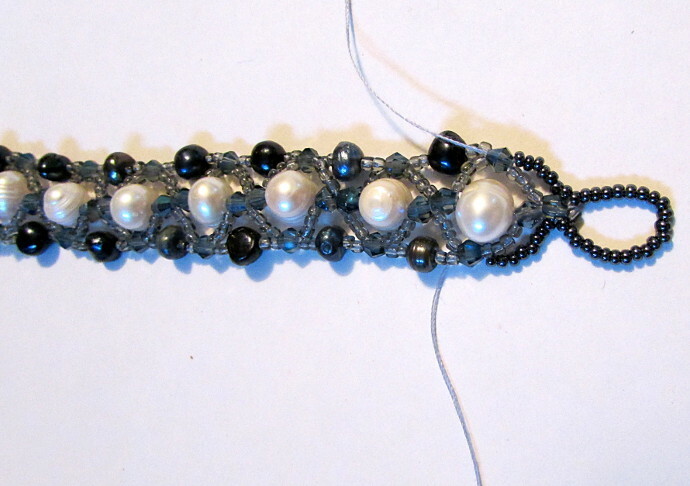 You will need white pearls, smaller black pearls, seed beads that are dark in color; I used gray and black, dark gray small crystals, and one big crystal for the closure. Start by measuring your wrist. I like to use a ribbon and then cut it to size. This way I will have this ribbon as I work and can always reference it if I need to. Take a long piece of thread, about 8 feet long. 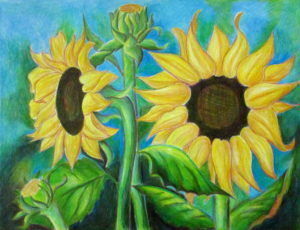 Put two ends of it together, and put them through the needle eye. 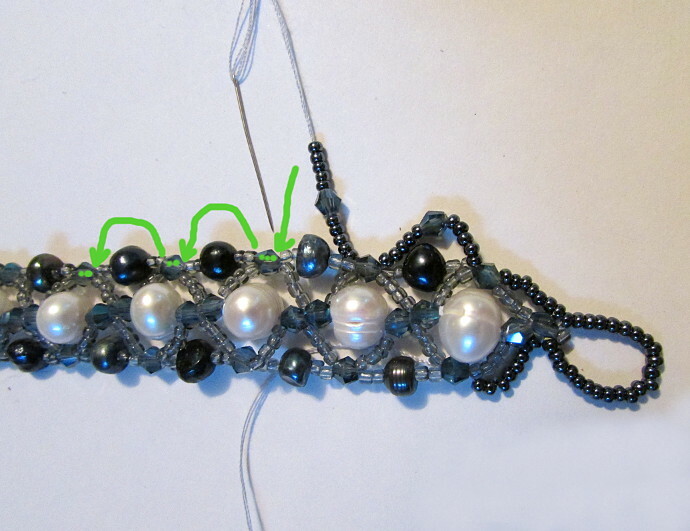 You are making the loop for the closure; so you should have enough seed beads that when they form a loop, the crystal bead fits in well: not too tight and not too loose. 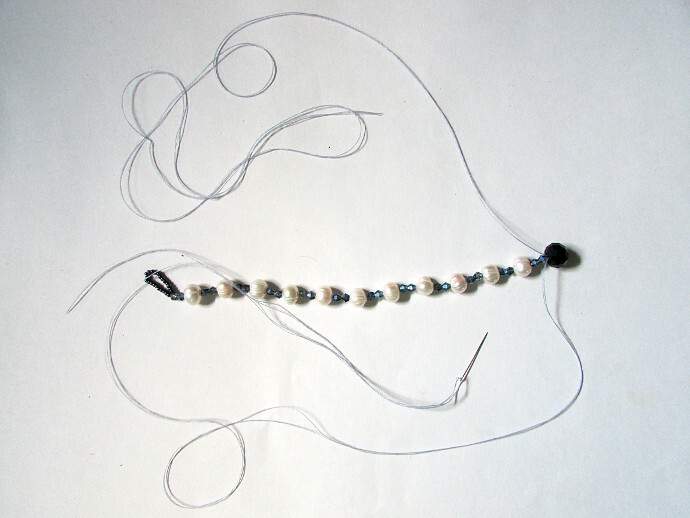 Put all the ends of the thread together, there should be four ends, and put them through the needle. 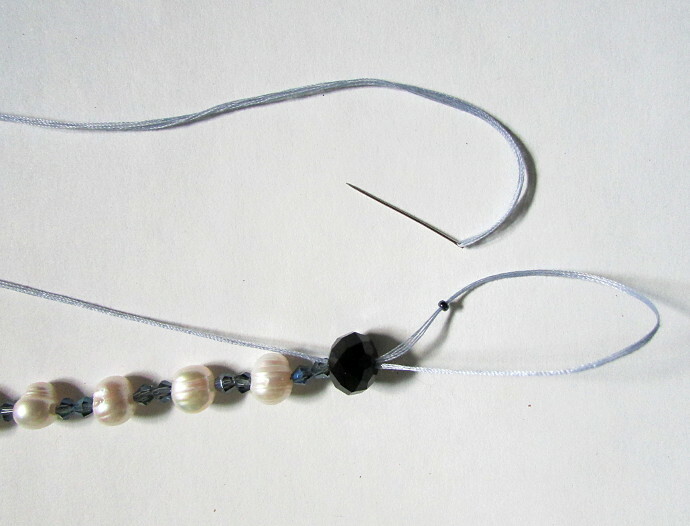 Put another small bead on the needle making the loop complete. 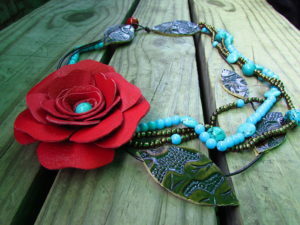 Now you’re ready to begin making the bracelet. 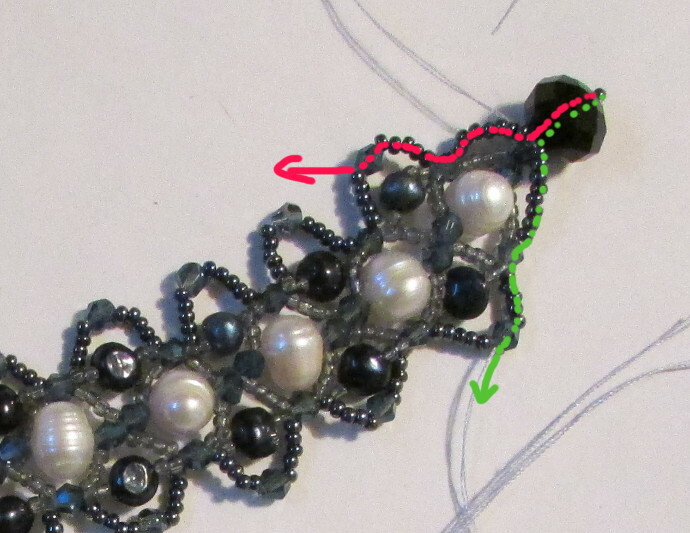 Below is a small picture of the closure that I made to make it easier. 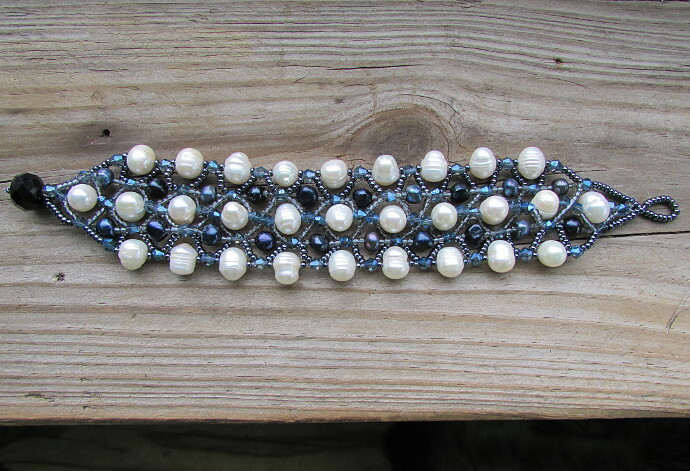 Now, for the length of your bracelet bead the following pattern: two small crystals, one pearl, two small crystals, one pearl, two small crystals, one pearl….Keep going until you reach your desired length. 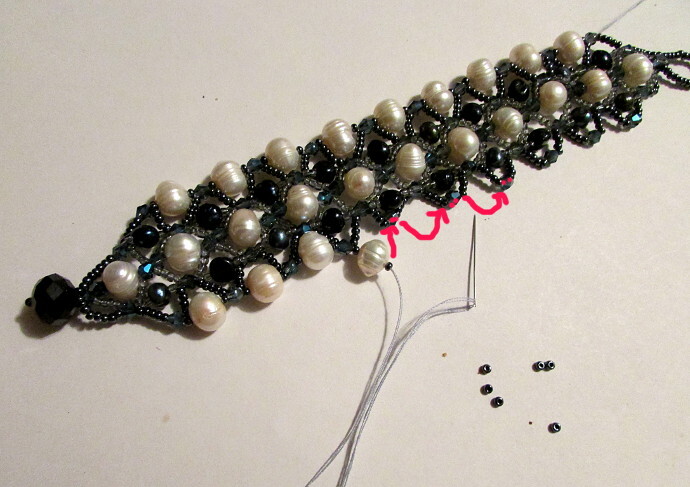 Once there, put the large crystal bead on, followed by a small seed bead. 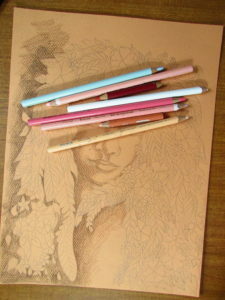 All done with this step. 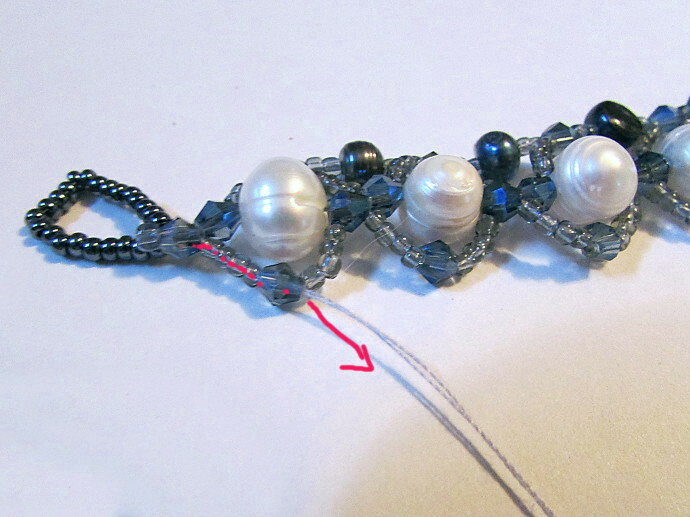 Push the needle back through the large crystal bead, but not through the little seed bead at the end there. 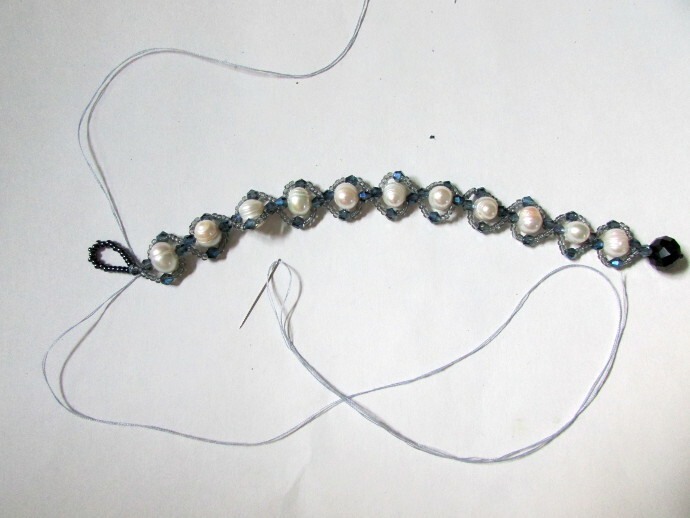 Now split the threads into two separate ones, two single threads in each side. Put the needle through one of them. 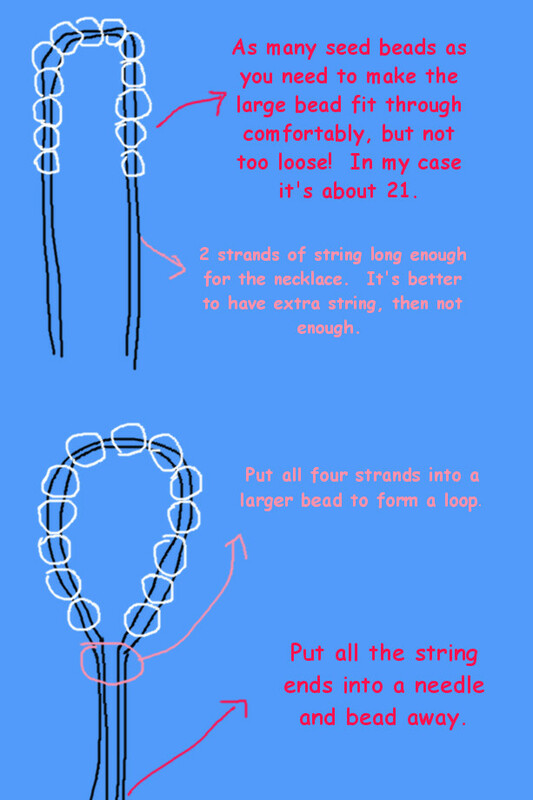 Put the second thread aside for now, and be careful not to tangle them. With the thread that has the needle, push the needle through the first small crystal. 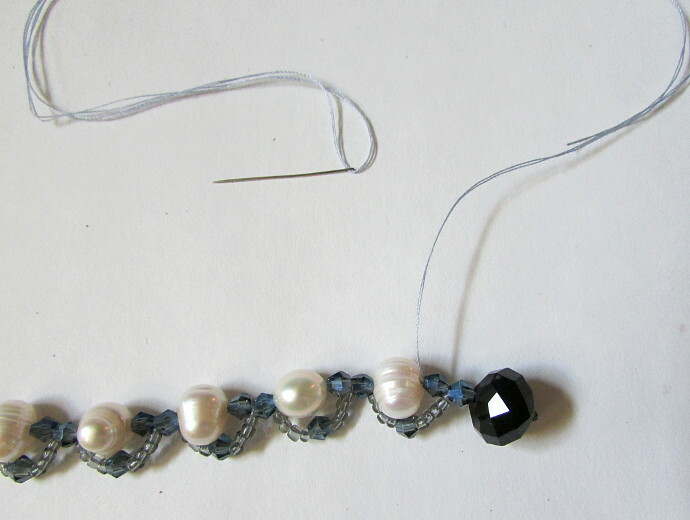 Now put on four seed beads, one crystal, four seed beads, and put the needle through the next small crystal. 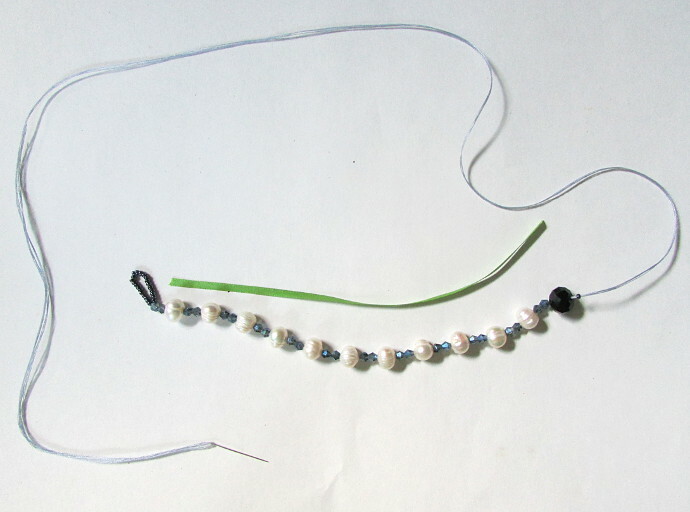 Four seed beads, small crystal, four seed beads and put through the next small crystal. 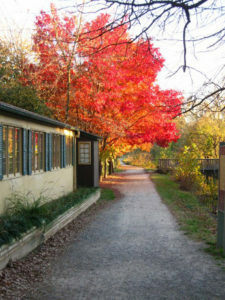 Keep going until you reach the other end. 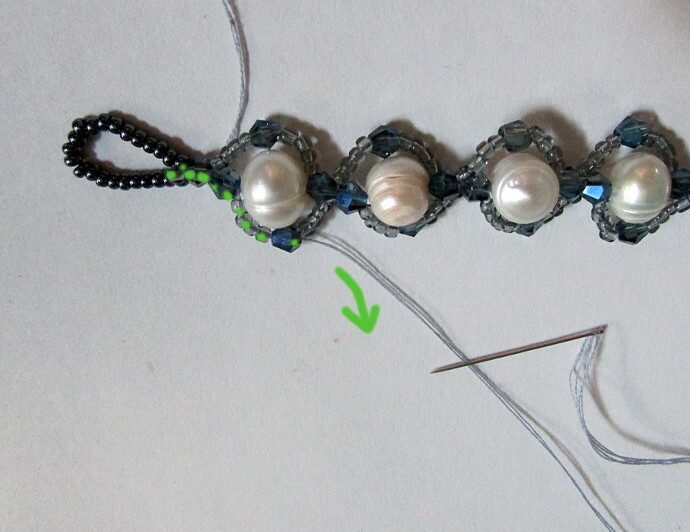 Once you come to the end, put the needle through the crystal bead, and set the thread aside. Put the other thread into a needle. 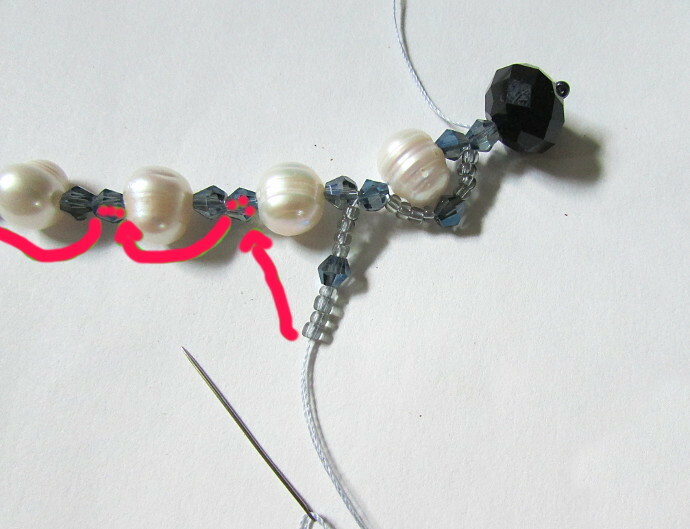 Push the needle through the first two small crystals, but it is only these two, for the rest of the bracelet the needle will be going into the second crystal, not the one that the first thread used. Do the same thing as you did with the other side: four seed beads, crystal, four seed beads and put through the second crystal over and over again, until you reach the end. 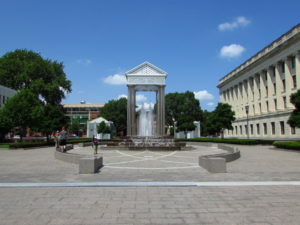 This is where you should be at this point. 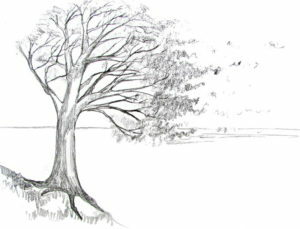 You have two threads. The first one you did is marked off in red, and the second one is green. 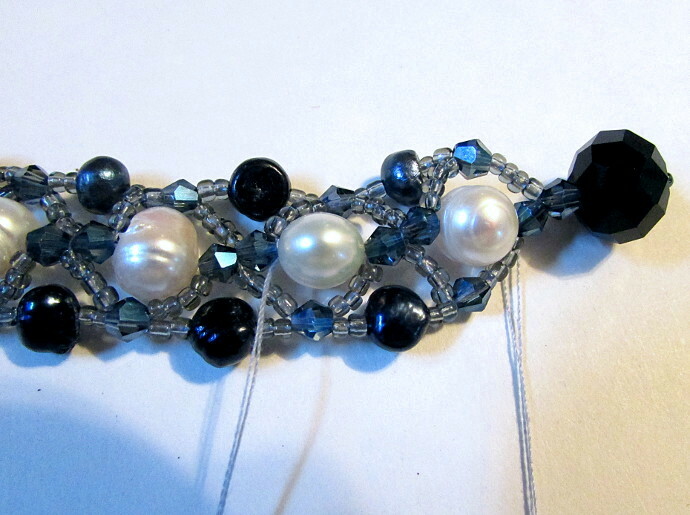 Here is the bracelet so far. 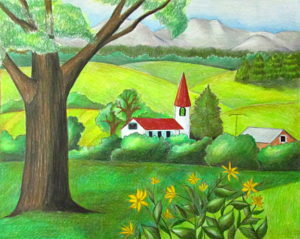 Alright, so here is the tricky part, check out the next two images for this. To continue on each side using the same thread, I had to flip them around. Starting with the second thread (since the needle was already in there), I put a small seed bead on the needle, and then pushed the needle back through the same crystal it was coming out off. 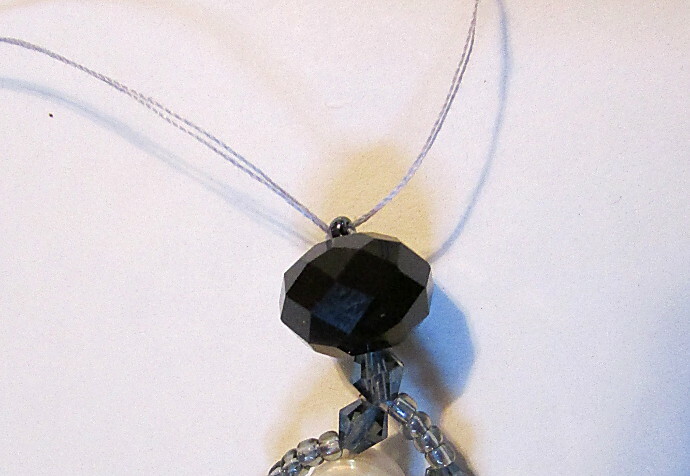 Then I pushed it through the crystal next to it, down the seed beads on the opposite side, and the following crystal. 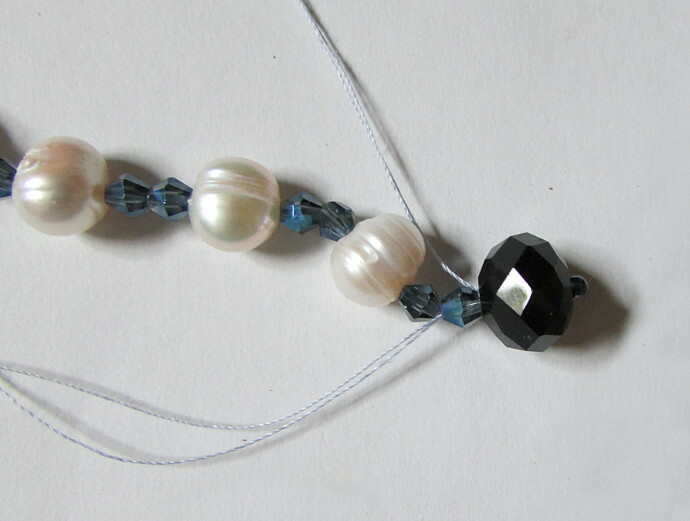 Starting at that first crystal where the needle came out, put on two seed beads, one black pearl, two seed beads, then through the next crystal. Repeat until you come to the last crystal bead in that row. Note, not the ones right next to the big crystal at the end, but the one next to the white pearl. Now it’s time to do the same with the second thread. Using the other thread do the same thing. 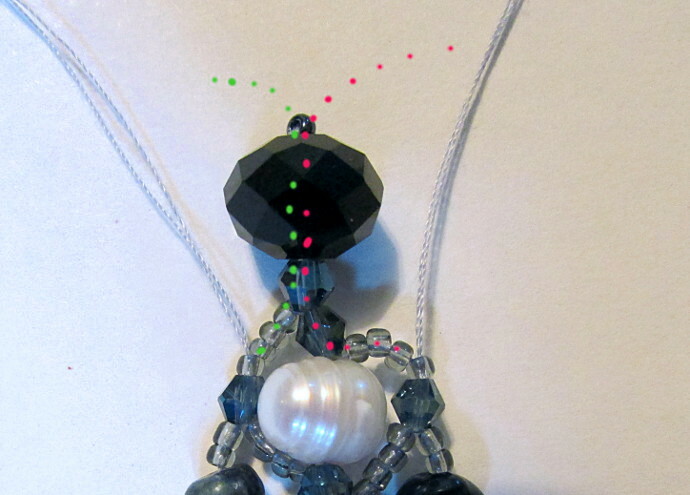 Bring it up through the top most crystal bead and then through the little seed bead on top of the crystal bead. Back down through the crystal bead and out the opposite way from where it came. 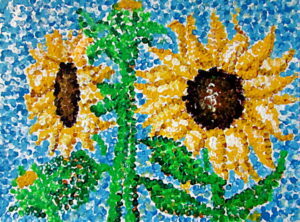 Through the four seed beads, and the next crystal bead. As always, a picture is worth a thousand words, so look at the two photos below. 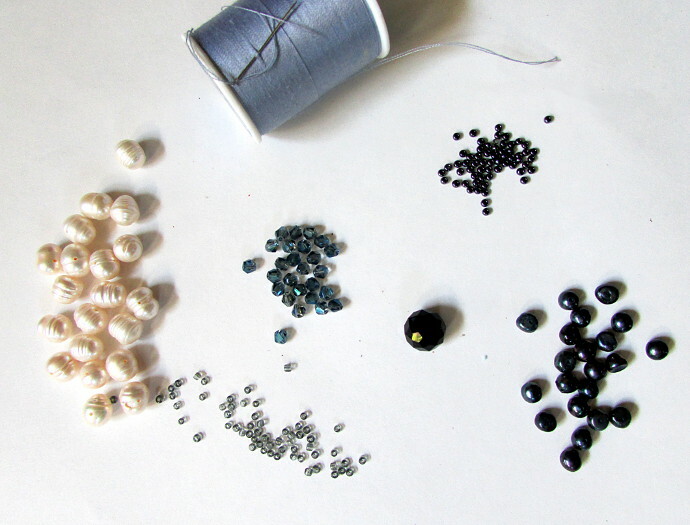 Once there, repeat the same steps as you did for the other side: two seed beads, black pearl, two seed beads, then crystal, over and over again, until you reach the last small crystal. 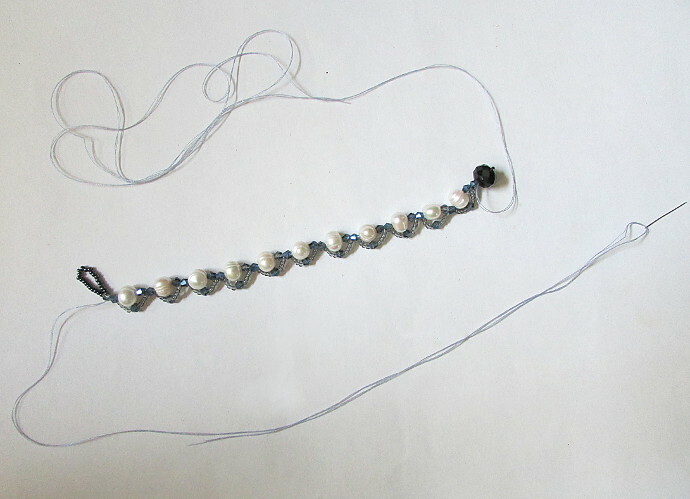 Once both threads reach the end, put the needle on each one of them through the remaining 4 seed beads and the two small crystal beads, all the way to the large crystal closure bead. 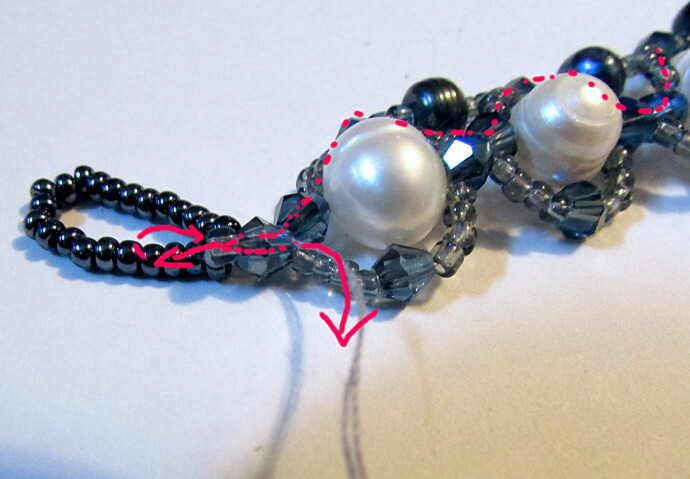 Put one of the threads through the tiny seed bead on top, then tie them both together in a few simple knots. 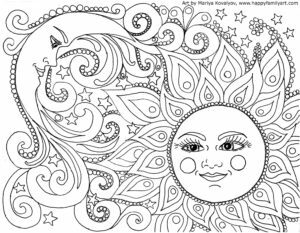 Push them back down through the large crystal and down the path somewhere in your bracelet. Once you feel it’s far enough, cut the remaining thread off. To start the next few rows, take another long piece of thread, fold it in two. Thread one end through the needle. 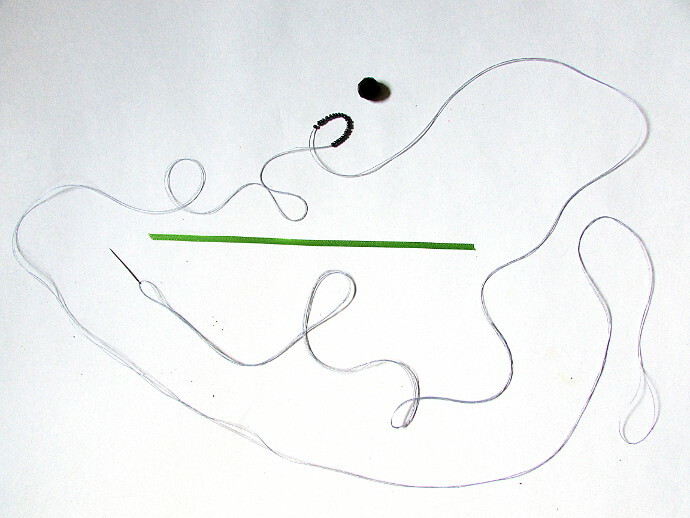 Then put the needle through the entire length of the loop, as in the photo below. 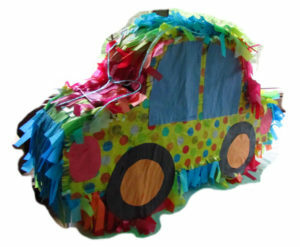 I started with 8 feet, when folded into two it became 4 feet, which works out to about 2 feet on each side. 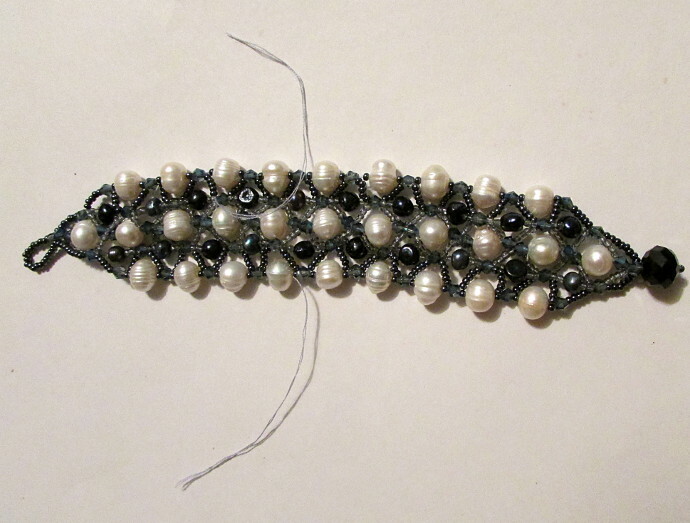 While in the center I used small gray seed beads, on the outside two layers I used the black ones. 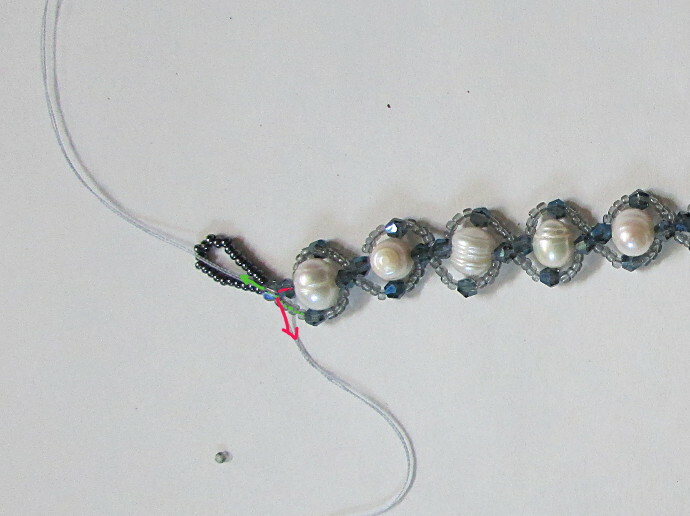 Once the thread was through the loop, I beaded 8 seed beads on each side, basically long enough to get to the first set of small crystals. Put the needle through each crystal respectively. 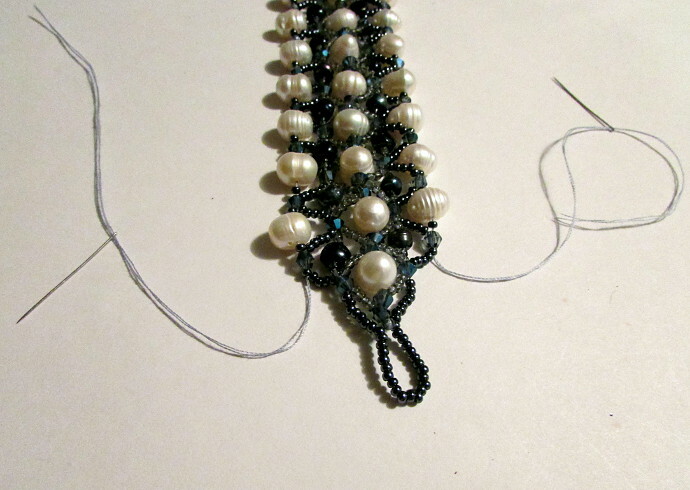 Now it is ready for the next row of beads. 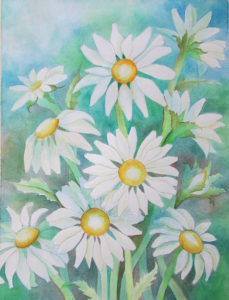 For the next row, as before you are going from one small crystal bead to the next. 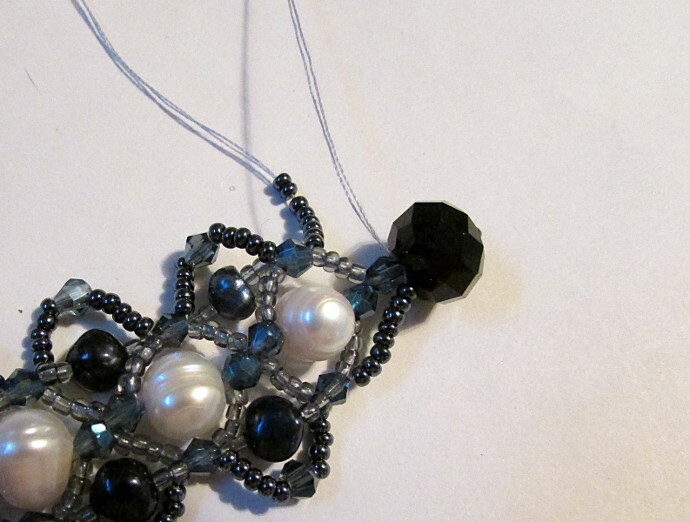 This time I used 5 seed beads, small crystal, 5 seed beads, then put through the next small crystal. Repeat until the end. 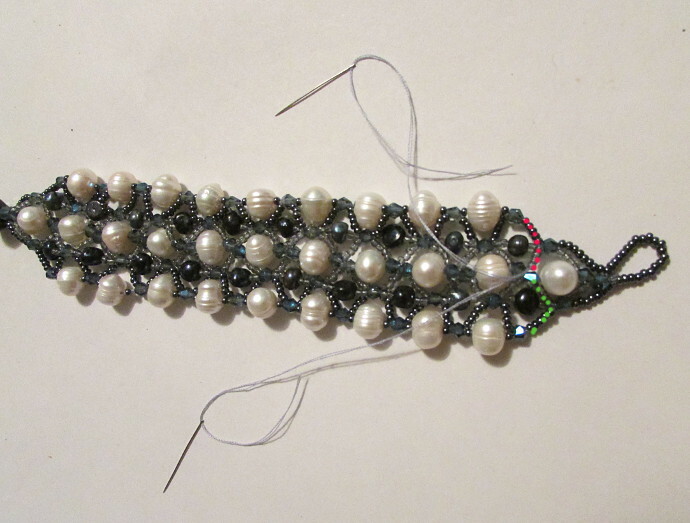 When you come to the end, go through the last small crystal, then add 8 seed beads (or however many you need to reach the large closure bead), and push the needle through the closure bead, through the small seed bead on top, and then back down into the closure bead. 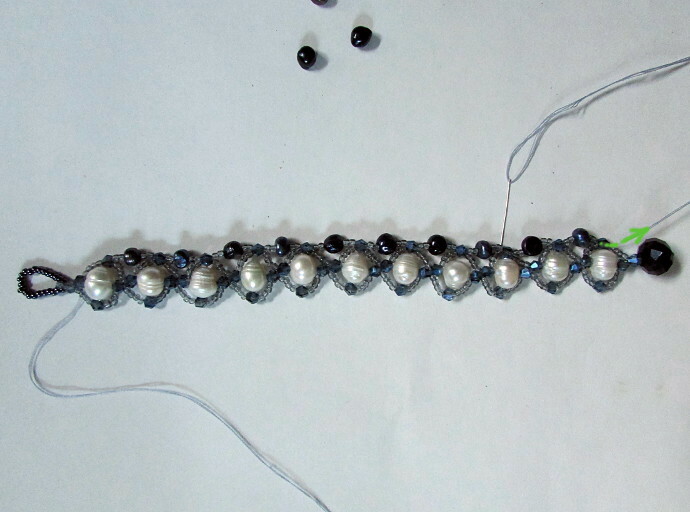 Now push the needle through all the outer beads until you reach the first outer small crystal, as in the photo below. Make the last two rows. 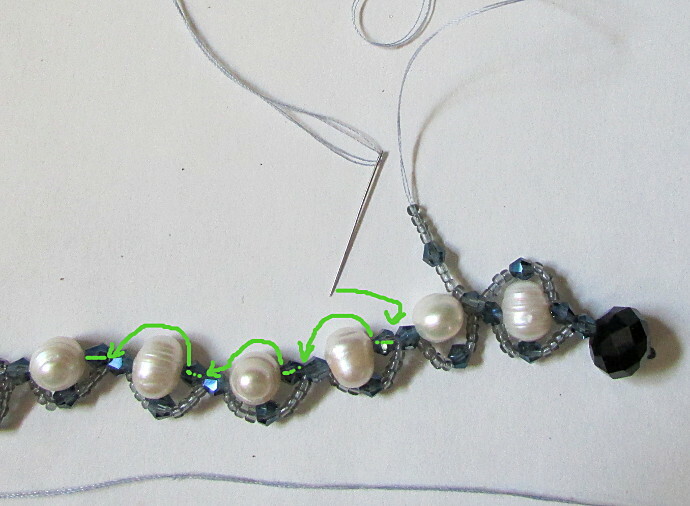 For each row it is one seed bead, one white pearl, one seed bead, then through the small crystal. Keep going until you reach the last outer small crystal. 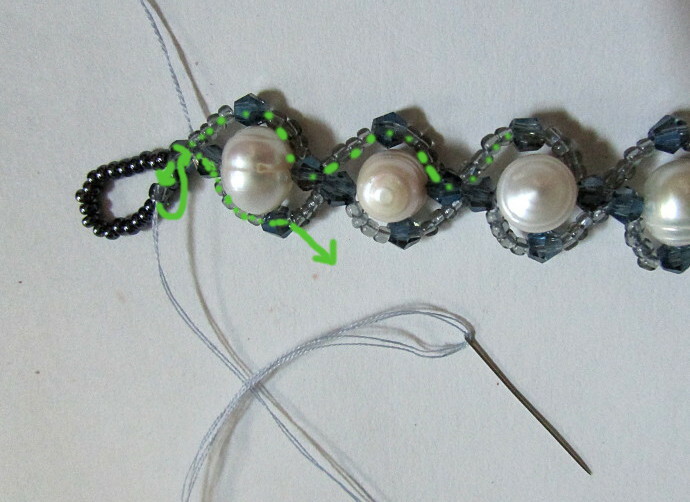 Bring the needles through the bracelet in the center, and tie the threads together. 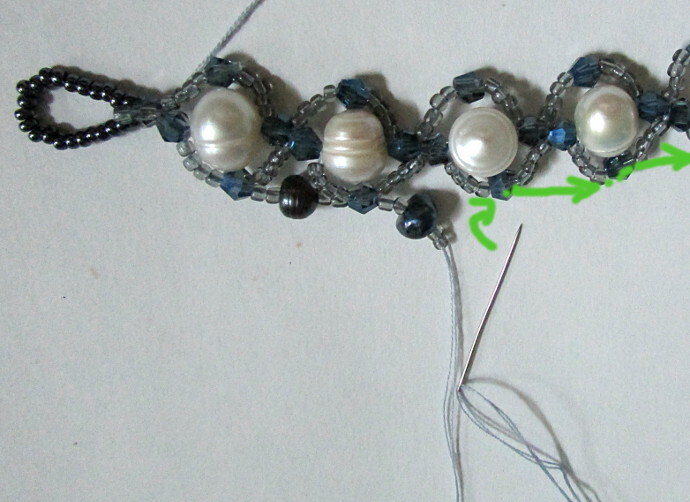 Once they are secure, push the needles further down along the bracelet. Once far enough, cut the thread remainder off.